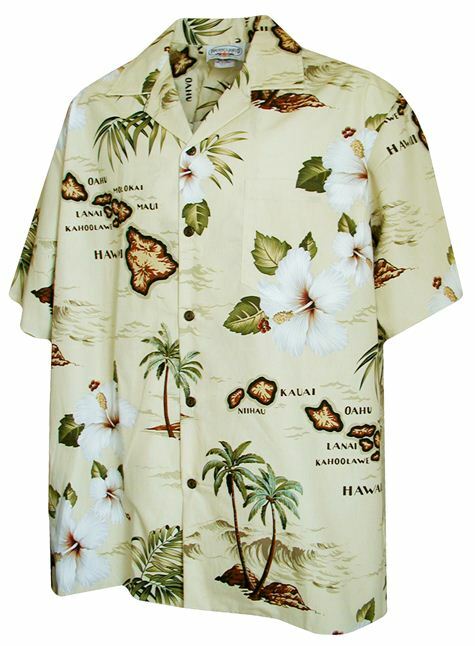 Purchased specifically for the map of Hawaii. Off shoulder style and roomy for a heavier-set man. Shirt is well constructed with the pocket exactly matching the shirt pattern.